The report entitled “Global HNB Tobacco Market: Size, Trends & Forecasts (2017-2021)”, provides analysis of the global HNB tobacco market, with detailed analysis of global HNB tobacco market in terms of value, demand and penetration of HNB in traditional tobacco. The report also includes a detailed regional analysis of the HNB market in regions Japan and Korea. Further, a detailed analysis of Korea HNB tobacco stick market has been in terms of demand and penetration. Under competitive landscape different HNB tobacco devices have been compared on the basis of brand and HNB stick market players in Korea have been compared on the basis of share. Moreover, the report assesses the key opportunities in the market and outlines the factors that are and will be driving the growth of the industry. Growth of the overall HNB market has also been forecasted for the years 2017-2021, taking into consideration the previous growth patterns, the growth drivers and the current and future trends. Philip Morris International Inc., KT&G Corporation and British American Tobacco Plc are some of the key players operating in the global HNB tobacco market whose company profiling is done in the report. In this segment of the report, business overview, financial overview and the business strategies of the companies are provided. HNB tobacco is a smoking device heated electronically equipped with the capacity to lower the level of harmful compounds that are generated at the high temperatures associated with combustion. HNB devices heats the tobacco and does not burn it resulting into generation of totally no ash and less smell when compared to conventional cigarettes. Heat-not-burn products are different in comparison to e-cigarettes because the HNB uses of real tobacco. On the other hand, e-cigarettes make use of flavored liquid nicotine.  The global HNB tobacco market is expected to increase at a healthy rate during the forecast period (2017-2021). The global HNB tobacco market is supported by various growth drivers, such as increase in implied smoking population, preference to HNB tobacco over conventional and e-cigarettes backed by its vital benefits, spike in youth population and upsurge in purchasing power globally. However, unfavorable government regulations and health risk of HNB tobacco cigarettes are some of the challenges faced by the market. Increasing global traffic to HNB websites, global players focusing on production expansion, new product innovations and dependence of HNB on battery industry are some of the latest trends existing in the market.